Sarah's Stamp Lab: Stampin' Up! Bonus Days are here! Stampin' Up! Bonus Days are here! Bonus Days are back! 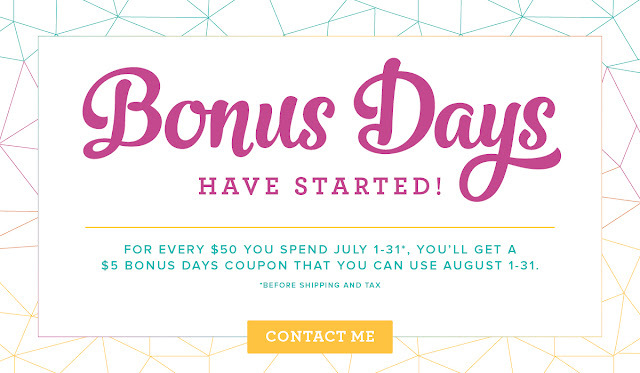 For every $50 USD you spend July 1–31 (before shipping and tax), you’ll get a $5 USD Bonus Days coupon that you can use August 1–31. 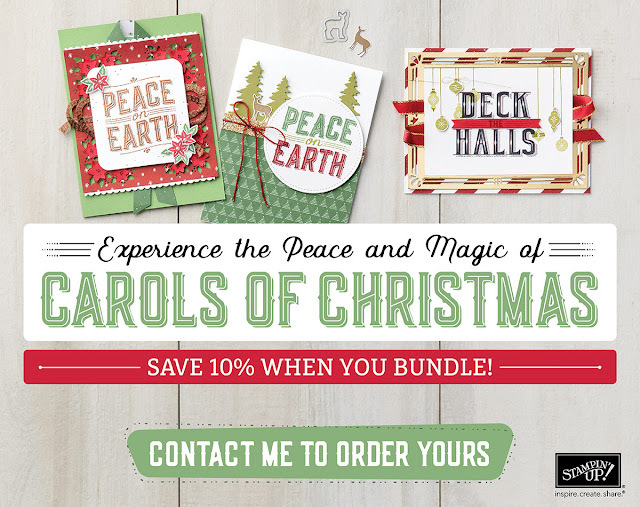 You will definitely want at least one of those coupons to put towards the purchase of this new bundle from the Holiday Catalog that will be sold as a sneak peek during the month of August.